in partnership with Temple Emanu-El of Bayonne, NJ. Everybody welcome! Come for the music, the learning, and of course, the chocolate. 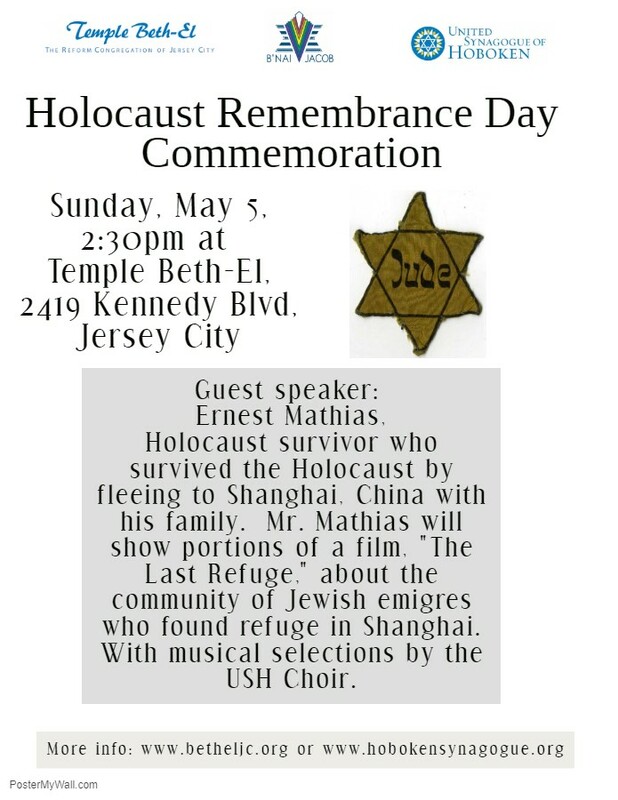 And wait for it, wait for it…..
And with our friends at Temple Beth-El and United Synagogue of Hoboken: A Holocaust Remembrance Day Commemoration at Temple Beth-El: Sunday, May 5 at 2:30pm.